Acts 10:25 – And let us not neglect our meeting together, as some people do, but encourage one another, especially now that the day of his return is drawing near. There are tons of things you could do on Sunday besides go to church. Football games, vacations, competitions, amusements, and many other things beckon us to choose them instead of church. In addition, there are many Sundays people just want to take a break and stay home. Perhaps that is why church attendance in our country has declined steadily over the past 30 years. It might not seem like a big deal to you, but it is hurting you spiritually and it is killing your church. Number one – It makes the worship service less exciting for everyone. Your presence in worship is vital because it feeds the whole congregation. A half-empty sanctuary makes for a dull worship service. There are fewer voices singing the songs. The sanctuary feels cold and lifeless. When you skip church, you are hurting everyone else who needs you to be there as part of the body of Christ (and you are missing out too). Number two – It discourages your leaders. 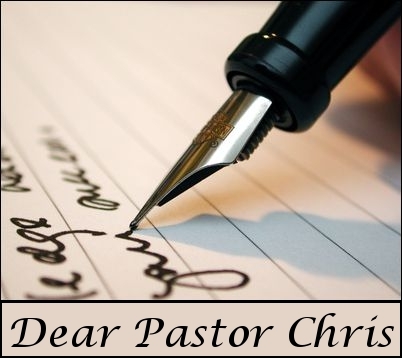 Your pastor probably spent at least 20 hours preparing the message. The choir director spent a similar amount of time. The 15-30 choir members spent hours rehearsing. Then there are other volunteers who prepared for Sunday school, children’s church, who cleaned, who set up the sanctuary, and a number of other responsibilities. It is disrespectful of their efforts when you choose to skip church and it discourages them. On the other hand, your full support excites and inspires them to do a great job, which builds momentum and great ministries at your church. Number three – You lose touch with the life of your church. Your church is a vibrant place. You need to stay active to grow. You have to know what’s going on to participate. When you skip, you don’t know what’s going on. You can try to stay up-to-date through emails, Facebook, and newsletters, but it’s not the same. If you are absent, you will miss something important. It only takes one Sunday away and you already begin to drift. Miss two or more and you are seriously out of the loop. You better get back to church quick and get plugged in. Number four – It messes up your priorities. Jesus said, “Seek the Kingdom of God above all else…” (Matthew 6:33). You decide the top priorities of your life by what you spend your time, money, and energy doing. When you choose the football game (or anything else) over church, you have made a decision about what comes first in your life. There are thousands of things you could choose besides church, but these won’t bring you closer to the Kingdom of God. It’s time to be honest about what’s most important to you. I hope you will seek the Kingdom of God above all else. Number five – It robs the church of the resources it needs. The fact is it takes money to run a church. Excellent ministry requires excellent staff who need to be paid. The church building has to be paid for and maintained. Ministry to the needy requires funding. Poor attendance leads to poor finances because people who skip usually do not give an offering. When finances are down, the work of God suffers. Everyone's situation varies, but--in general--you shouldn't miss more than 5 Sundays per year. For most people, that should be plenty to account for illness, vacations, and the occasional special situation. If you are missing more than 5 Sundays per year, you may need to re-evaluate your priorities and decide if your commitment to Christ and His Church are what they need to be. I often find people misunderstand what Jesus really meant or they take his words in the Bible out of context. They will come to me and say, “But in the Bible Jesus said…” and they will use Jesus’ words in the wrong way. And then as a pastor, I find myself in the awkward position of arguing with Jesus. So, I’m not so much arguing with Jesus as I am arguing with the way people misuse or misunderstand Jesus. Jesus said and did many things in the Bible. In this series, I would like to address some of the passages that are often misused or misunderstood. 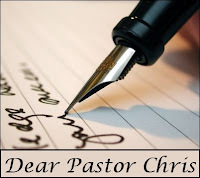 I hope you will come to Pleasant Grove UMC or read this blog for each of these messages. Perhaps you know someone else who is particularly interested in one of these subjects. Invite them to come too! Today, I want to “argue with Jesus” about the issue of divorce. It might surprise you to find out how often people come to me racked with guilt because they have been divorced—even if the divorce was justified. They will even quote Jesus’ words about divorce in the Bible and I find myself awkwardly “arguing with Jesus” on behalf of someone who needs grace and forgiveness. So to start off, let’s turn in our Bibles to see what Jesus said about divorce. Jesus clearly takes a strong position against divorce in this passage. Even though the Old Testament law in Deuteronomy 24:1 allowed for divorce, Jesus apparently does not. This is a very strict teaching. The disciples struggled with it and Christians have struggled with it ever since. Let’s take a quick look at another passage from the Gospel of Matthew where Jesus listed only one acceptable excuse for divorce. “You have heard the law that says, ‘A man can divorce his wife by merely giving her a written notice of divorce.’ 32 But I say that a man who divorces his wife, unless she has been unfaithful, causes her to commit adultery. And anyone who marries a divorced woman also commits adultery. In Matthew, Jesus says pretty much the same thing he does in Mark except he allows for divorce in the case of unfaithfulness. What are we to make of all this? Well clearly, divorce is not God’s original intention. Jesus’ view of marriage goes back to the original plan in creation where God designed a man and a woman for each other to become so unified in marriage that it’s as if they become one person. Anything less falls short of God’s original plan. If we only take Jesus’ words at face value (which is what many people do), we quickly run into problems. Is unfaithfulness really the only acceptable cause for divorce? What about physical abuse? If a man is beating his wife, shouldn’t we advise her to get a divorce as soon as possible for the sake of her own safety? What about harsh verbal or mental abuse? Should a person remain in a marriage where they are being torn apart inside by the ongoing and excessive cruelty of their spouse? The answers to these questions should be obvious. Sometimes a divorce is right thing to do. Sometimes it is the only way out of an extremely harmful marital situation. You would be surprised by the number of times I have counseled with both men and women in just these kinds of situations. I believe Jesus would embrace them and comfort them and tell many of them to get a divorce as soon as possible. And yet, these unfortunate victims struggle with guilt because of what Jesus said in the passages we just read. It is crucial for us to understand what Jesus said about divorce within the proper context in which he said it. First of all, look at verse 2. “Some Pharisees came and tried to trap him with this question: “Should a man be allowed to divorce his wife?”” You see, this conversation was not a sincere attempt of the Pharisees to understand God’s plan for marriage and divorce. This whole issue was brought to Jesus as a way to get Jesus in trouble and make him look bad. So, we need to keep that in mind as we consider what Jesus said about divorce. Now let’s think about that a little. It’s saying that if a wife does not please her husband, he can just divorce her. That’s pretty harsh! So maybe she’s getting a little older and she doesn’t look as appealing as the younger woman who just moved in next door. Does that qualify? It seems so if you take the Llw literally. Or maybe the wife doesn’t agree with everything the husband says. Is that cause for divorce? It seems so according to a literal reading of the Old Testament law. If you’re going strictly by what Deuteronomy 24:1 says, a husband can divorce his wife for any reason she does not please him—and that could be almost anything. And that is exactly what many husbands were doing to their wives in Jesus day. Furthermore, there is no provision in the Old Testament law for a woman who wants to divorce a man! Jesus lived in a society where women had few rights or privileges. Moreover, they had limited (if any) means to provide for themselves outside of marriage. So a woman who was divorced and sent away from her husband’s house often faced tremendous hardship in addition to shame. So when Jesus spoke out to forbid divorce, he was actually speaking out to protect women from unjust treatment and exploitation. How ironic it is then that today women often come to me consumed with guilt because they had to divorce a man who was mistreating or exploiting them! In the original context, Jesus was trying to protect women, but times have changed. Women have many more opportunities now than they did 2,000 years ago. A wife who divorces can make it on her own in ways that women in Jesus’ day could not imagine. I, myself, grew up as the product of a single, divorced mom. It was not easy for her to provide for our family, but she managed in ways women in the New Testament probably could not. So times have changed—somewhat for the better—since Jesus spoke out against divorce. Today, I find that men often need protection when it comes to divorce. I have counseled with a number of men in heart breaking situations where the wife was asking for a divorce and the husband did not want it. The husband was not necessarily guilty of any grave offence or abuse. Furthermore, the husband was even willing to seek marital counseling to improve the relationship with the wife, but the wife was unwilling. So men sometimes—just as much as women—can find themselves devastated and completely heartbroken—having to deal with an unwanted divorce and all the financial troubles and familial complications a divorce brings. And sometimes I have felt that if Jesus were present he might grab a few mean-spirited wives and just shake them and say, “Don’t you realize how cruel and unchristian you are being!” It was not that divorce was evil; it was the fact that the divorce was unnecessary, but the wife didn’t care and was not willing to even try and fix the problem. So what’s the bottom line? What should we think about divorce? If Jesus were speaking from this pulpit today, what would he say? Well, God did not part the clouds and give me the answer in an audible voice. However, I have thought deeply and prayed about this over many years of walking with the Lord and serving as a pastor to counsel numerous couples facing divorce and here’s what I believe Jesus would say. First of all, divorce is not God’s original plan. From the beginning of creation, God designed marriage to be a lifelong, deep and sacred union between a man and a woman. The closer a husband and wife come to this goal, the closer they are to God’s will and the more fulfilling their life together will be. This is God’s hope for all married people. However, marriage is not easy. It takes a lot of work—especially because we are broken individuals that live in an imperfect world. Sometimes we will face problems in our marriage—maybe even very difficult problems. Yet we should strive very hard to work through our marital troubles if at all possible. A marriage that is worth having is worth fighting for. And you would be amazed at some of the stories I could tell you of broken marriages I have seen healed. It often saddens me to see marriages fail that I believe could be fixed if only both the husband and wife were willing to work on it. So divorce should be a last resort, when everything else has been tried and failed. Unfortunately, sometimes divorce is the only option. When repeated attempts to fix the marriage have failed (including sincere attempts at marriage counseling and appeals to God for divine help), divorce may be better than staying in a destructive marriage. A good analogy might be the way you would treat your own body in a medical emergency. For instance, suppose you were in a terrible accident and your arm was badly injured. You would do everything you could to save your arm. However, if you couldn’t save the arm and the only way to save your life was to cut off your arm, you would have a surgeon cut it off in order to save your life. You would be without an arm for the rest of your life, but at least you would be alive. In the same way, you should do everything you can to save your marriage; but if you cannot save it and to stay in the marriage would devastate you, by all means get a divorce. But understand this: there will always be a terrible scar. Even if you believe today that your divorce was not justified—that for some reason you acted inappropriately—Jesus still offers forgiveness and grace. There is no sin you have committed that puts you out of reach of God’s love in Jesus Christ. If you recognize your fault and ask Jesus to forgive you, he will wash you clean. Your sin will be forgotten forever by the Lord and you can make a fresh start from this day forward. If you would like forgiveness for this or any other sin, pray to Jesus for forgiveness today. Lastly, it may be that some of you are struggling in your marriage. Maybe you are even contemplating a divorce. Let me encourage you as strongly as I know how—talk to a pastor or a marriage counselor. It may be that Jesus can heal the brokenness in your marriage and make your relationship stronger than you ever imagined. I have seen it happen. However, nothing will get better if you keep your struggles to yourself. Talk to a pastor or marriage counselor they can help you start on a better road. Or they may find out that a divorce is the best road for you to choose and then you can have the peace of mind in knowing you tried everything you could. I have been having trouble with my Prayer Life. I have daily prayers and some days I pray throughout the day. I read in the Upper Room Daily Devotion this morning, "When we have no Words", and I truly believe God listens to my heart when I am out of words. However, the problem I am having is when I do pray I find myself trying to get fancy or mix it up, but I still find myself sounding like a broken record as I feel I am praying the same prayers. I have a journal that I write down prayer requests in and I read over it, thank God for the blessings, and ask him to watch over me and my family and friends, but it begins to sound like I mentioned above, "A BROKEN RECORD". Is this normal or should I be doing something different? I commend you for your daily practice of prayer. I can tell you take prayer seriously and the use of a prayer journal is an excellent tool to build your faith and spiritual muscles. Prayer is simply your chance to talk to God. So talk to God in ways that feel natural to you and know that God hears you. If you wish to “mix things up”, you might focus on a subject that is different from your normal conversations. You could assign a different subject to each day of the week. You might focus on local prayer concerns on Mondays, giving thanks on Tuesdays, evangelism on Wednesdays, etc. Some other subjects of prayers could be government leaders, church leaders, your family, your vision for the future, God’s creation, etc. The topics for prayer are limitless. Have fun thinking of new ideas to talk about with God. I wouldn’t be over-concerned about sounding like a broken record though. Prayer is an exercise. Sit-ups are another exercise where you do the same things over and over again. The repetition is helpful for building strength in your abs. The same can be true of repetitive prayers. Repetitive prayers can build your spiritual muscles and open up new insights over time. As new needs or ideas arise, your prayers will naturally change. If you find your prayer time becomes too tedious because of repetition, just mix in some new topics of conversation to keep your prayers fresh. This is the final message in our series on the Great Commission. The Great Commission is not an option; it is a command given by Jesus to his disciples. In the beginning, it was to the original disciples, but the command was not just to the twelve. The Great Commission is for everyone who calls themselves “disciples”—anyone who has decided to follow Jesus. If you have decided to follow Jesus, you are a disciple and this Great Commission is for you. Christ’s followers are to spread out into the whole world and live the Great Commission wherever we are. We go to our homes, our neighborhoods, our schools, our work, and even to faraway places to spread the Good News about Christ wherever we are, every way we can, in whatever we do. A disciple is someone who makes Jesus the first priority of their life—even leaving everything else behind if necessary—learning Jesus’ ways and living them every day as they seek to make new disciples. Today, we will consider how Jesus said we are to make disciples. He said, baptize them and teach them all of his commands. Baptism is the initiation rite for new disciples. It is the beginning. Jesus welcomes anyone to be his disciple, but anyone who wants to be his disciple must make a conscious decision to follow him. They must recognize that Jesus is the Son of God, that he has the power to forgive their sins and save them. They must choose to trust Jesus to save them, accept him as their Lord, and become his disciple. Churches have a surprising number of people in them who have never made this decision. Jesus has always had a lot of people gathering around him who were curious, attracted by his ideas, or who admired the way he lived (maybe that describes you). Crowds of people followed Jesus around the countryside during his earthly ministry, but he had only 12 disciples in the beginning who made a conscious decision to be completely committed to Christ. I want as many people as possible to come hear the Good News about Jesus. Everyone is welcome to come and listen. But just because a person comes to church doesn’t mean they are a disciple (AKA a Christian). Going to church doesn’t make you a Christian any more than standing in a garage makes you a car! A person starts their life as a disciple when they decide to put Jesus first. And the usual way for us to acknowledge that decision is baptism. Through baptism, we recognize a person is adopted into the family of God and God grants grace to help that person to live and grow as a child of God. Some might say, “I don’t ever recall making a decision. I know that Jesus is my Lord today. I know he is first in my life and that I would do anything for him, but I don’t remember when I first made a decision. I grew up in the church and sort of came to it gradually.” That may be true and you might not ever remember the moment you made a decision, but you obviously have decided. There’s nothing wrong with that. The key here is that you have decided to be Jesus’ disciple (remembering the moment is not that important). Unfortunately, there are many in the church who have not decided. They may even think they are Christians because they go to church, but they aren’t because they have not decided to leave everything else and follow Jesus. Some might say, “Well I was baptized as a baby and I don’t even remember it. Am I still a Christian?” We baptize babies as a decision of the parents to raise a child from the very beginning of their life as Christians with the hopes that one day they will make their own decision to follow Jesus. It is a chance for parents to seek God’s grace for themselves and the child that they will do everything possible to make a true disciple of their child. It is the act of parents who are faithful disciples, but the child must eventually decide for themselves. The baptism is not complete until a child grows up and decides for themselves to be a Christian (most often around the age of 12 when a child in confirmed in the confirmation ceremony). If we are going to make disciples, we need to invite people to make a decision to follow Jesus. Now that doesn’t mean you have to walk up to everyone you meet and immediately bombard them with some evangelistic sales pitch. Sometimes you have to be patient. Sometimes you have to get to know people and build a real relationship with them. Sometimes you have to pray for people for a while so that God will give you the opportunity to make a disciple. But at some point if we’re going to make disciples, we have to challenge people to choose who will be their Lord. I would like to challenge all of you today to decide who is your Lord. Have you ever decided? (I don’t mean do you remember the day you decided, but do you know today who is your Lord? In other words, do you put Jesus first in your life—above your work, your family, your ambitions, your money, etc.?) If you have never decided who is your Lord, I implore you to decided today. Just because you've been coming to church for a while, doesn’t mean you are a Christian. Choose today if Jesus will be the Lord of your life. The decision to be a disciple of Jesus is the beginning, but it doesn’t stop there. Next, we must teach people all of Jesus’ commands. Gavin will graduate from high school this year. Over the last year, Gavin has been considering which college he would like to go to after high school. He finally decided on studying computer network engineering at Georgia Tech. Now suppose Gavin gets accepted into Georgia Tech’s computer networks engineering program. Will that automatically make him a computer network engineer? Of course not. In order to become an engineer, Gavin will have to study for at least 4 years and pass all his courses and earn his degree. A person who decides to be a Christian has made a wise choice, but it is only the beginning. Now they must learn Jesus’ teachings. This is what the disciples did. As they followed Jesus, he taught them his ways—how to pray and fast, how to live, things to avoid, how to minister, how to love people, etc. He spent three years coaching them. And it was more than book knowledge or just listening to a sermon. It was “on-the-job” training. In other words, he gave them opportunities to actually minister—to heal the sick, to preach and teach, to show mercy to the needy. This aspect of discipleship is so important. Think about it: how do you teach a child how to throw and catch a football? You could explain it to them—describe all the elements of proper catching and throwing—and you probably will, but that’s not enough. They have to practice; they actually have to spend time throwing and catching to learn. The same is true of Christian disciples. It’s not enough to come to church and listen to a sermon. We actually have to practice our faith. We have to pray. We have to practice self-sacrifice. We have to love others. We have to serve. We have to trust God to help us do things that are beyond our ability. We have to be a witness. We have to make disciples. Discipleship is an ongoing, contextual education experience. We learn by doing. And just because you’ve been a Christian for 30, 40, or 50 years, doesn’t mean you’re done. You still have more to learn. The Apostle John outlived all the other original 12 Disciples. He lived to see all the other’s martyred for their faith. John is the only one who died of old age. Yet John never retired from being a disciple; he never said, “I have finally learned it all.” So even if you are a Christian who is 70, 80, or even 90 years old, you are still a disciple who is learning while doing the work of Christ. Jesus concludes the Great Commission with a promise. He said, “I am with you always, even to the end of the age.” As we decide whether or not to be Christ’s disciple, as we encourage others to be disciples, as we practice our faith, as we teach others Jesus’ commands, Jesus is with us. Isn’t it good to know Jesus is with us? · Spend a moment in prayer and identify someone you could mentor for the next 2 or 3 years the way Jesus mentored the disciples—teaching them, encouraging them, coaching them in the faith, giving them opportunities to serve. · And if you’ve never made a choice to follow Jesus, I invite you to make a decision today. Will you go where Jesus asks you to go? Will you love who Jesus asks you to love? Will you follow him?